Description: Automatic Pistol Range, Exhibit Supply, late 1920s (exact date unknown), two player gun game. The thing that made this game possible was the ABT guns which were starting to be made a year or so before that. The ABT (Adler, Bechtol, Tratsh, the company founders) gun games shot a small steel ball. 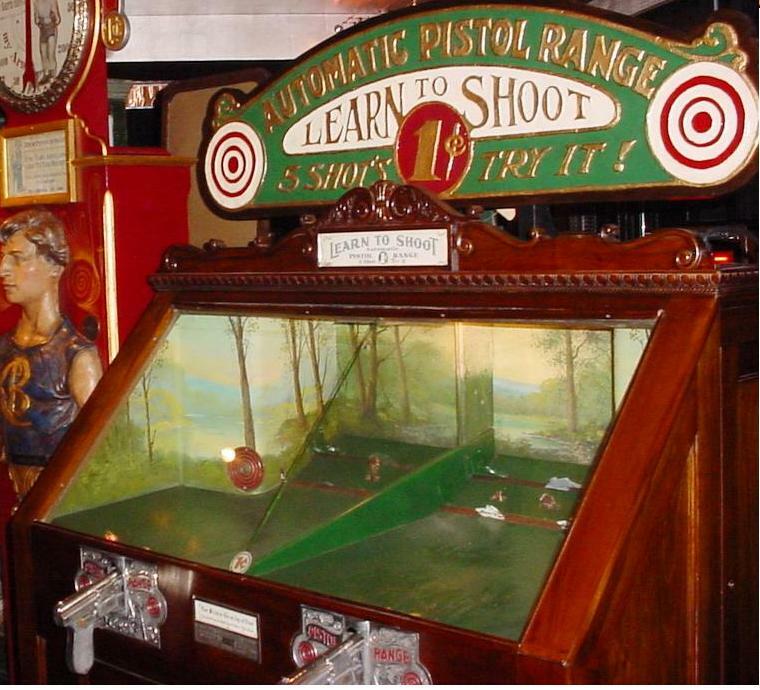 The Pistol Range however had electric motors that drove chains and pulled the targets which the player shot.